These are a pair of 2-color 8" cement tiles, one using White and Featherstone, and the other using White and Camel from the South Beach Palette. 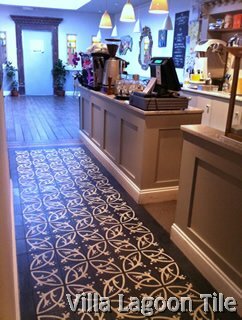 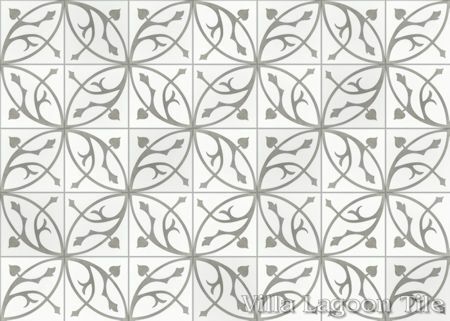 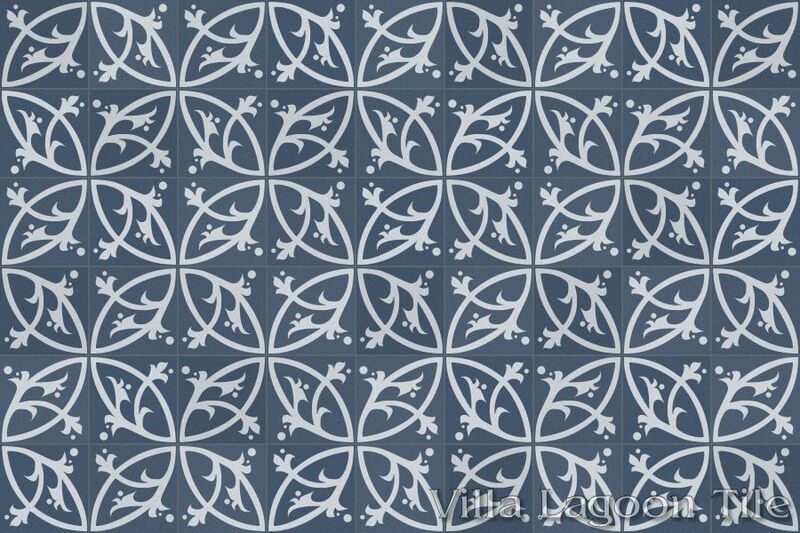 Boden is a family of traditional encaustic cement tile patterns featuring interlocking rings acting as a trellace supporting leafy vines. 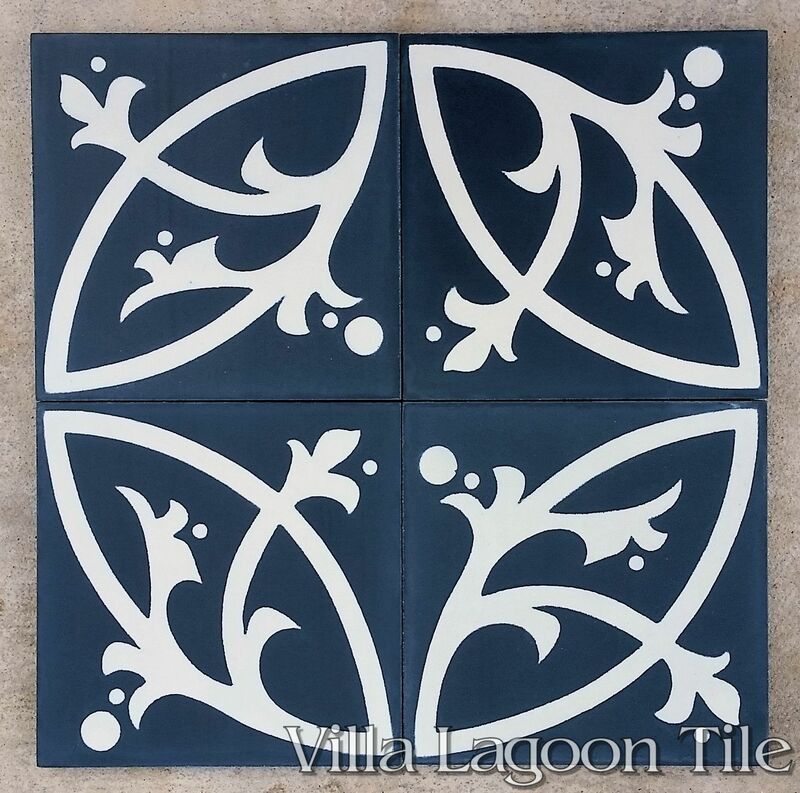 This beautiful variant of the motif features a broad heart-shaped leaf. 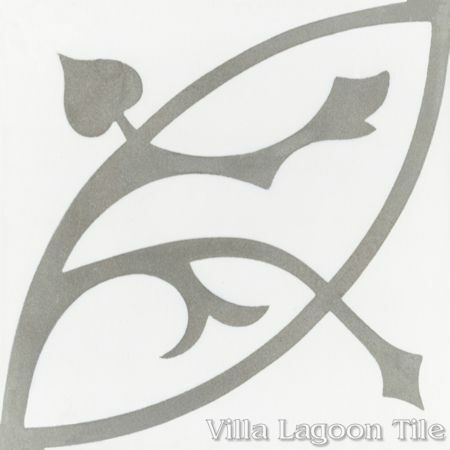 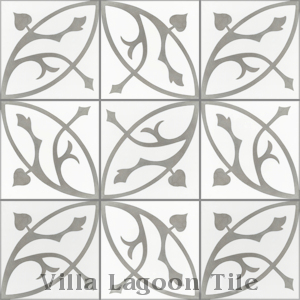 Standard Price:$6.24 per tile ($14.35 / square foot)8 tiles per box. 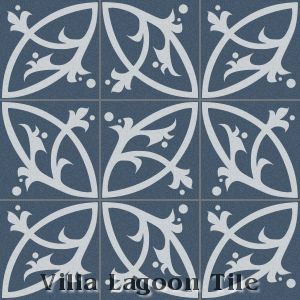 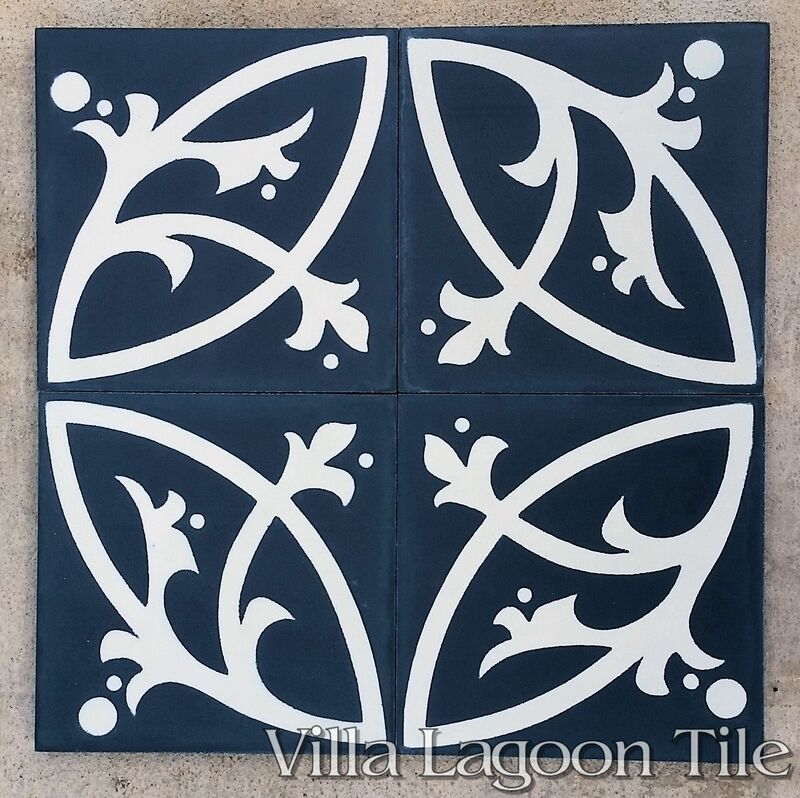 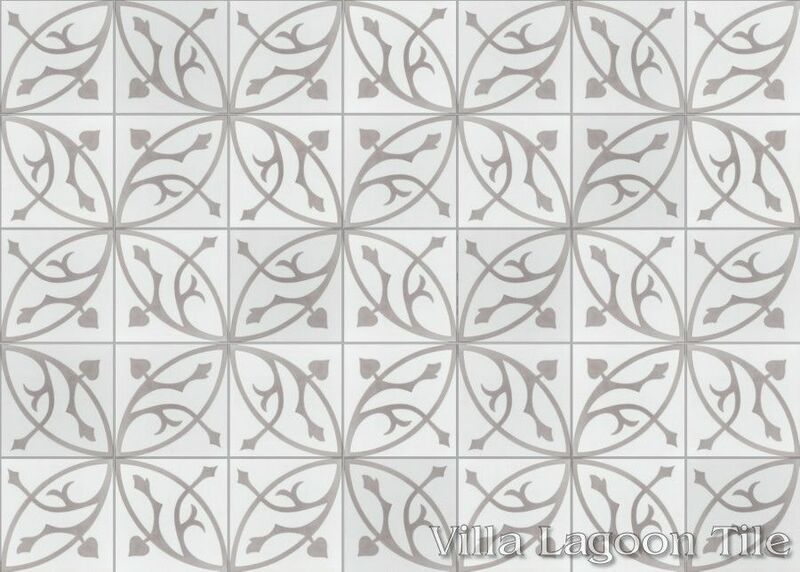 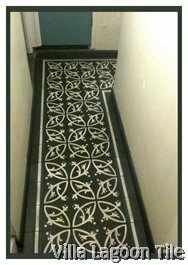 This is a 2-color 8" cement tile, using Fog and Night Blue from the Marrakesh Palette. 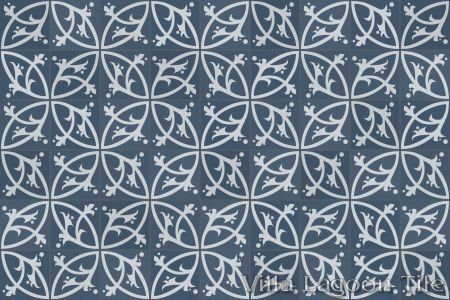 This is the "Boden A" variant from the Marrakesh collection for Europe was in-stock 2014-2015, but will always be available for custom order.